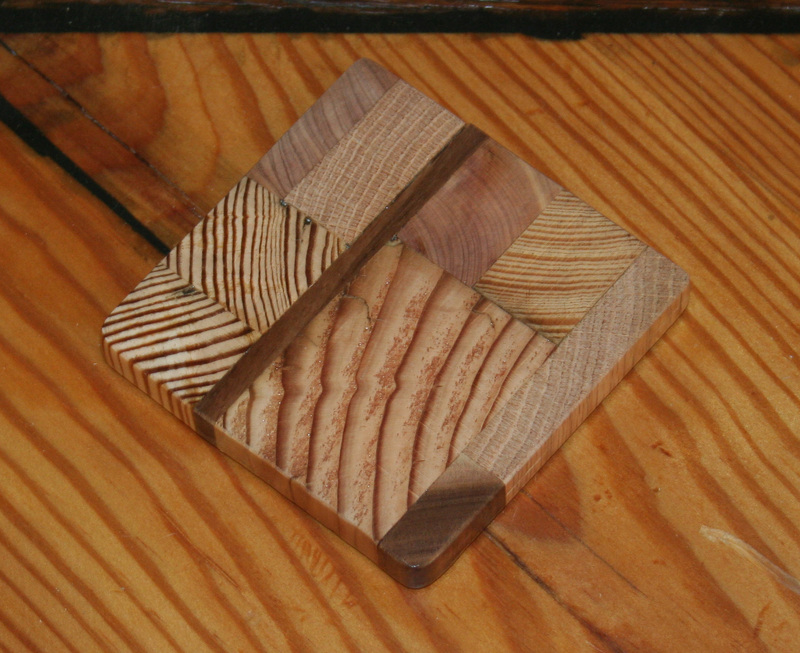 These coasters were made from pieces of surplus wood. 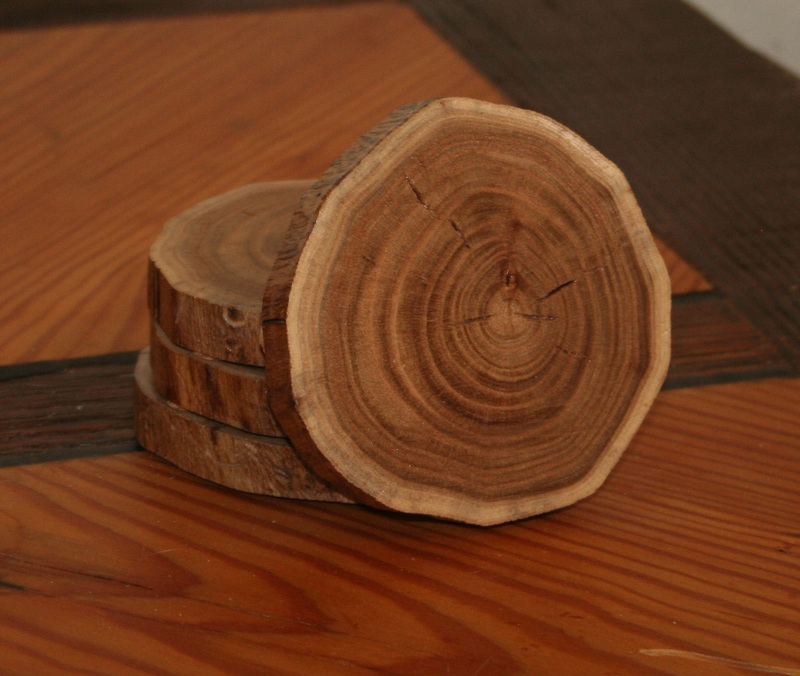 Pieces of pine, black walnut, pecan and cedar were arranged and glued together then sanded smooth and coated with polyurethane to create these beautiful coasters. 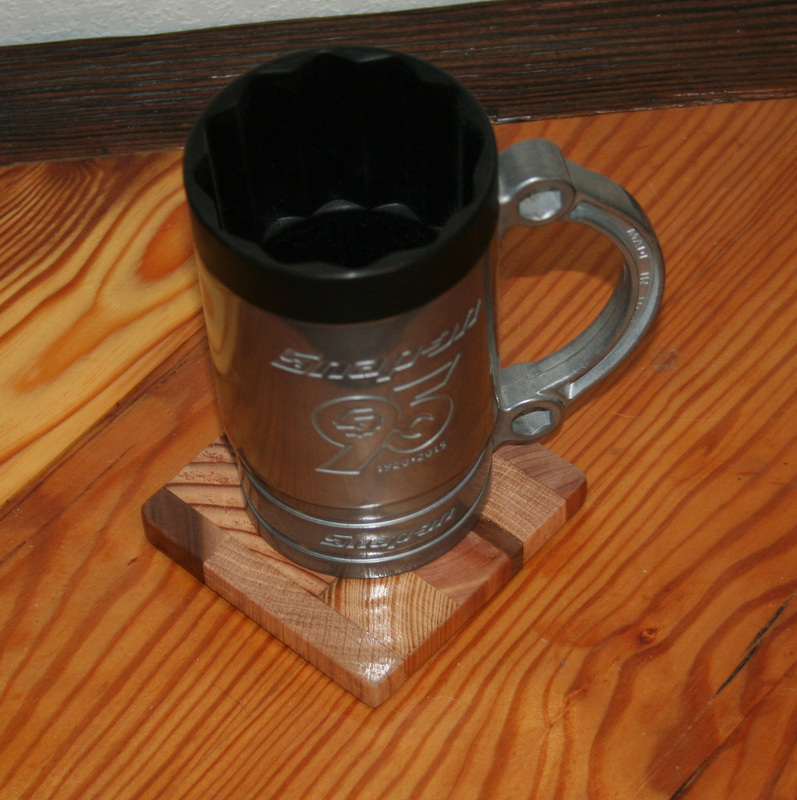 Each coaster has 4 small cork pads to protect delicate surfaces. 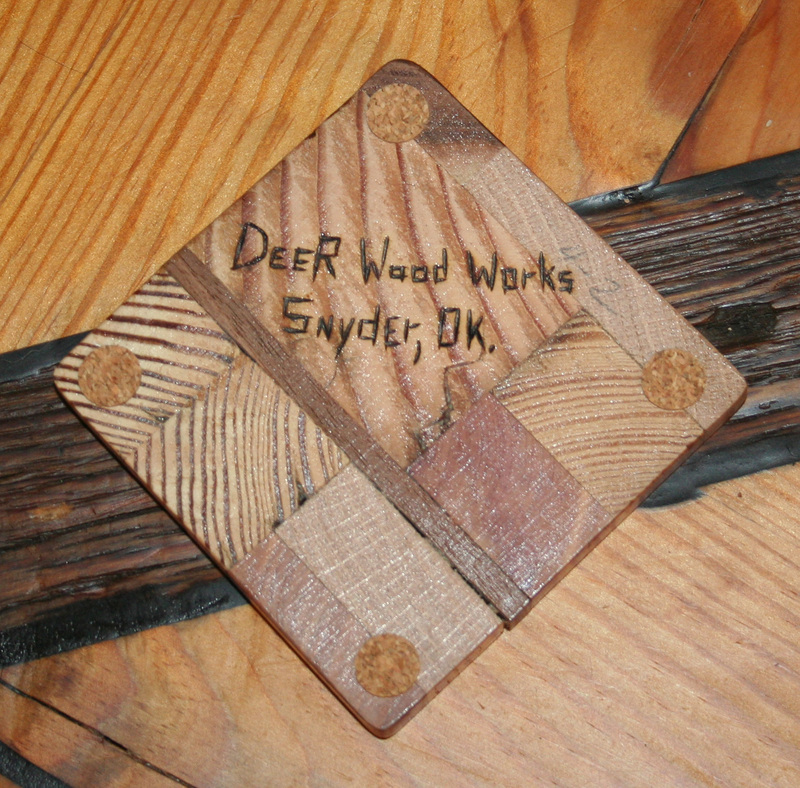 Each coaster measures 4"x4" and is 1/2" thick. You will receive a set of 4 coasters just like the pictures above. 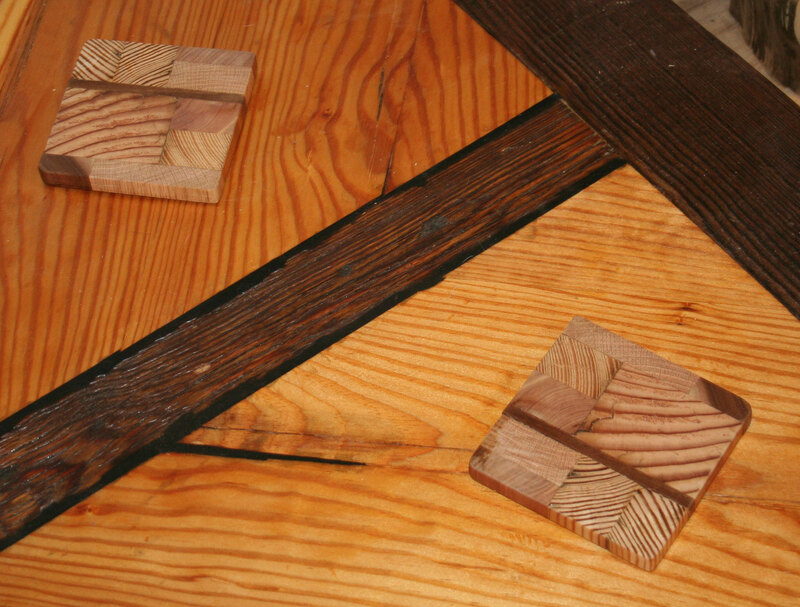 Some variances in color or knots in the wood can be expected when using narural wood. These coasters will make a great adition to your kitchen, living room, dining room or bar. They are also a perfect gift for birthdays, weddings, anniversaries, graduation or housewarming. 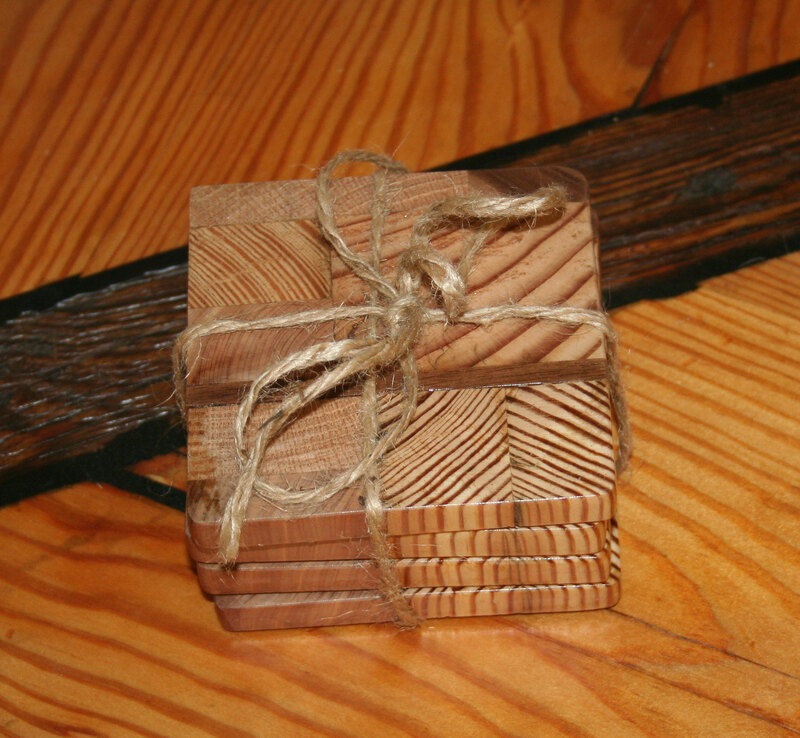 Your set of 4 will come tied with twine ready for gifting. 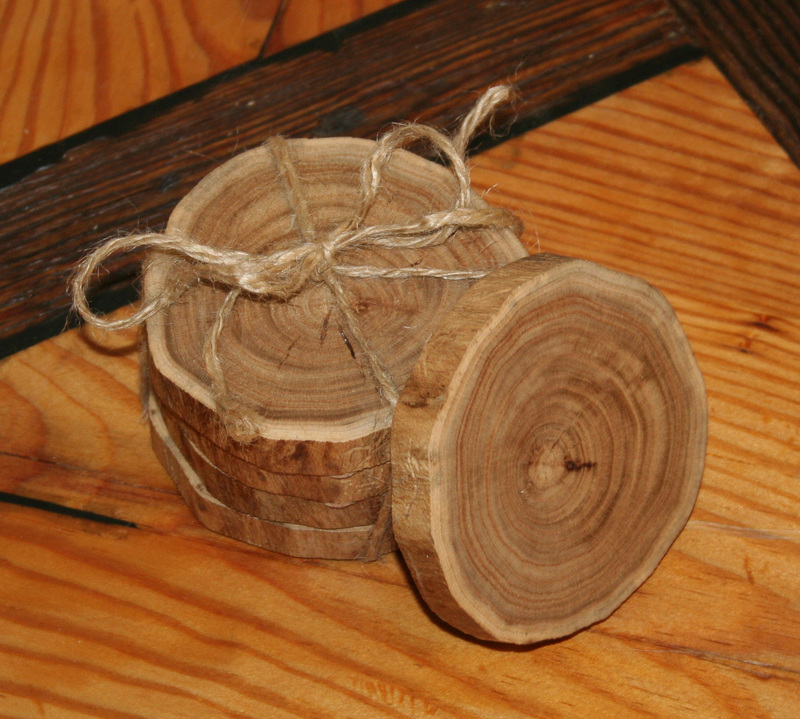 If you are looking to add a little rustic charm to your space, these coasters are the perfect addition. 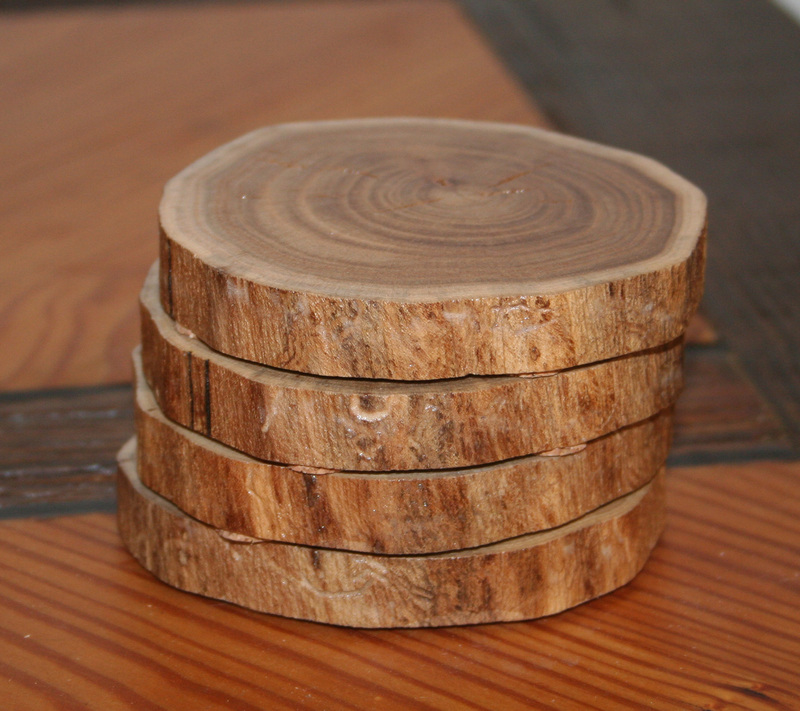 You will receive a set of 4 Live Edge Elm Coasters just like those pictured above. Note: some slight variances in color may occur when using natural wood. Each wood slice was sanded, sealed with a few coats of polyurethane to protect the wood and has 4 small cork pads on the bottom to protect delicate surfaces. 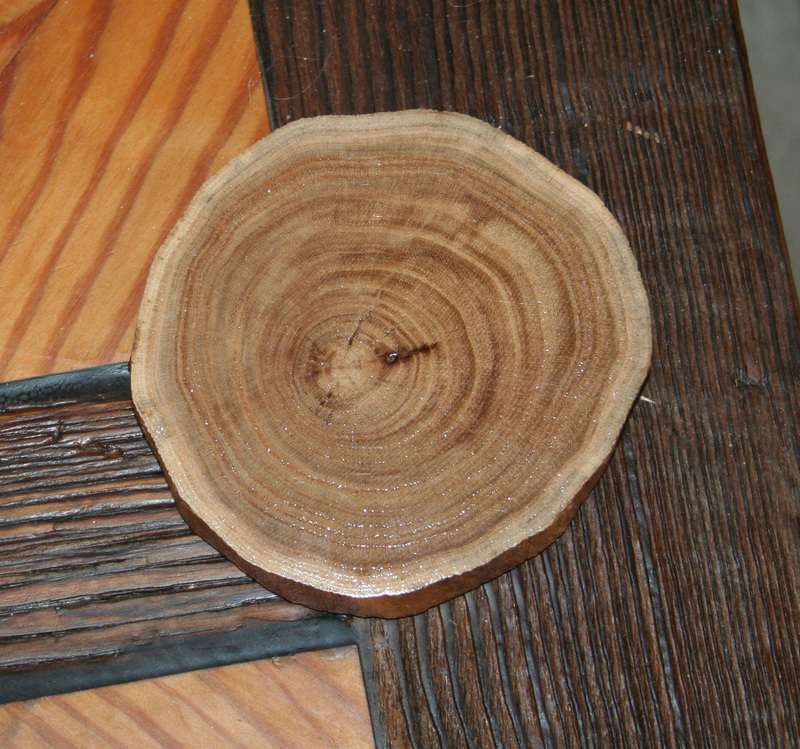 Each coaster measures approximately 4" in diameter and is about 1/2" thich. 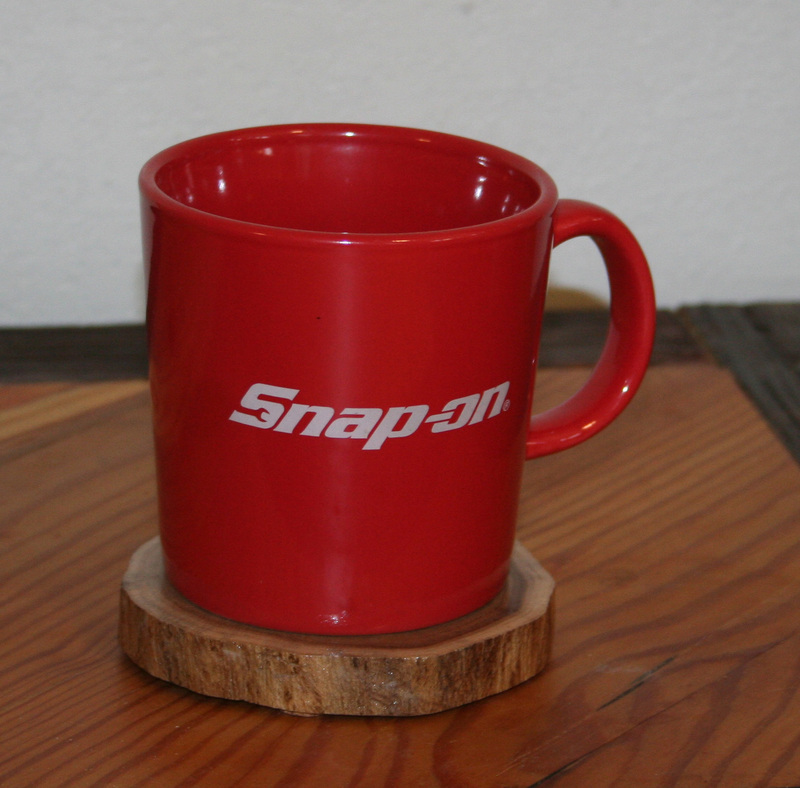 These coasters would make a great addtiion to your kitchen, living room, office, dining room, bar or mancave. They are also a perfect gift for birthdays, weddings, anniversaries or housewarmings.